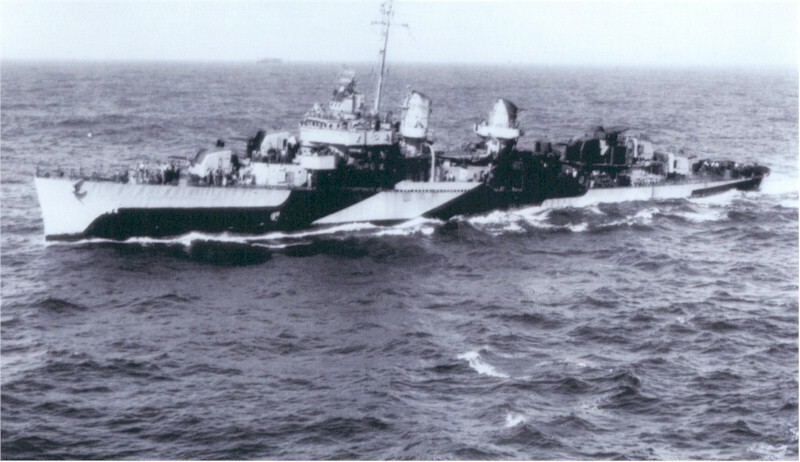 USS Halligan (Lt.Cdr. 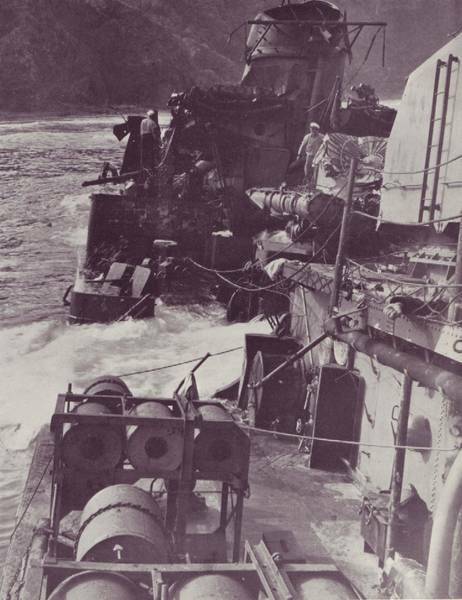 Edward Thomas Grace, USN) sank after striking a mine off south-west Okinawa in position 26º10'N, 127º30'E. 162 of her crew were lost with the ship.